Murray Bookchin introduces provocative ideas about the nature of community and what it means to be a fully empowered citizen. 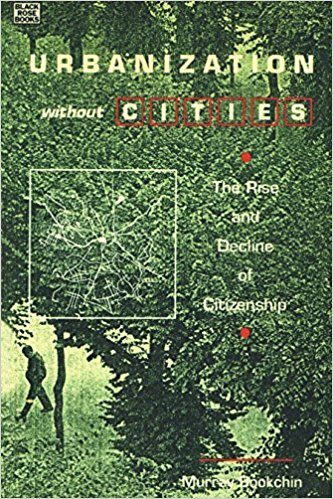 He believes that the tensions that exists between rural and urban society can be a vital source of human creativity, thereby defining a new, richly imaginative politics which can help us recover the power of the individual, restore the positive values and quality of urban life, and reclaim the ideal of the city as a major creative force in our civilization. What is envisaged is an environmentally oriented politics, a new ecological ethics and a citizenry that will restore the balance between city and country and, ultimately, between humanity and nature.